Transmission & Mechatronics Repair at DT Service Centre! Lamborghini – Leave it to the matadors to tame your bull! Bentley – The definition of luxury can only be maintained by the definition of workshop excellence: DT. Mercedes – Arguably the “King” of cars. Luckily, Deutsche Technik is the “Ace” of workshops. Porsche – The perfect balance of sport and luxury meets the perfect balance of skill and experience. Volkswagen – VW is for the people. Deutsche Technik is by the people. Service – DT follows manufacturer guidelines and original parts, so you don’t have to worry. VW – VW is for the people. Deutsche Technik is by the people. Mechanical Repair – Manufacturer book times for labor and best practice repair procedures for your peace of mind. Electrical Repair – When it comes to electrical repair, the only thing we can’t do is retrofit a flux capacitor. 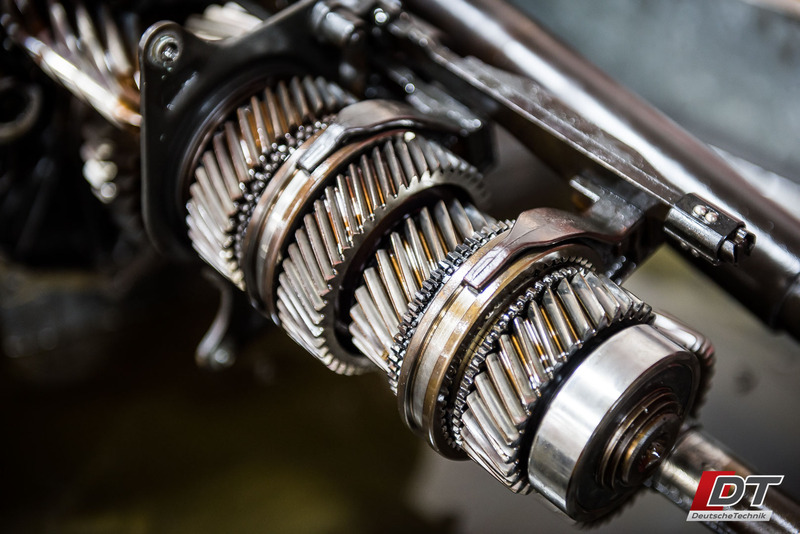 Transmission Repair – Shift into the fast lane with Deutsche Technik’s warrantied gearbox & mechatronics repairs. Air Suspension Repair – Get back to riding on a cloud with Deutsche Technik, without breaking the bank. AC Repair – In the UAE, not having AC is not just a comfort problem, it’s a safety problem. Service Packages – Save money with the best service package in Dubai. No expiry, and transferable to new owner. Warranty Packages – A warranty package not only affords you peace of mind, but also ensures your vehicle’s health. Denting & Painting – Scratch? Dent? No problem. DT is can make that all disappear with a factory fresh finish. Accident Repair – Ouch! Hope you’re safe and sound. Time now to tend to the car. Manufacturer spec repairs. Smart Repair (PDR) – Paintless dent removal! A fine art. Removes dents without the need for paint. Full Car ReSpray – Custom colors, factory colors, whatever you want! Factory quality finishes at affordable prices. Car Care – Detailing, ceramic coating, interior repairs, reupholstery, you name it! All of it is here at DT. REVO Tuning – The best VW, Audi, Ford, Porsche, Seat, and Skoda tuner in the world! Not for boy racers. RaceChip Tuning – More power and speed, and still maintain the factory warranty! What more could you ask for? Hardware Upgrades – Intakes, downpipes, catback exhausts, big turbos, big brake kits, custom exhaust, you name it! Portfolio – We’ve built an illustrious portfolio of vintage car restorations over the years, come take a look! 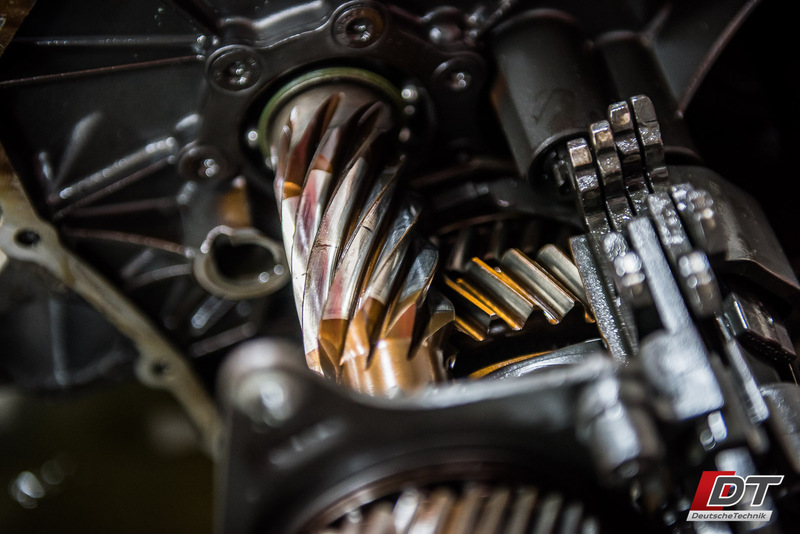 Shift into the fast lane with Deutsche Technik’s warrantied gearbox & mechatronics repairs. 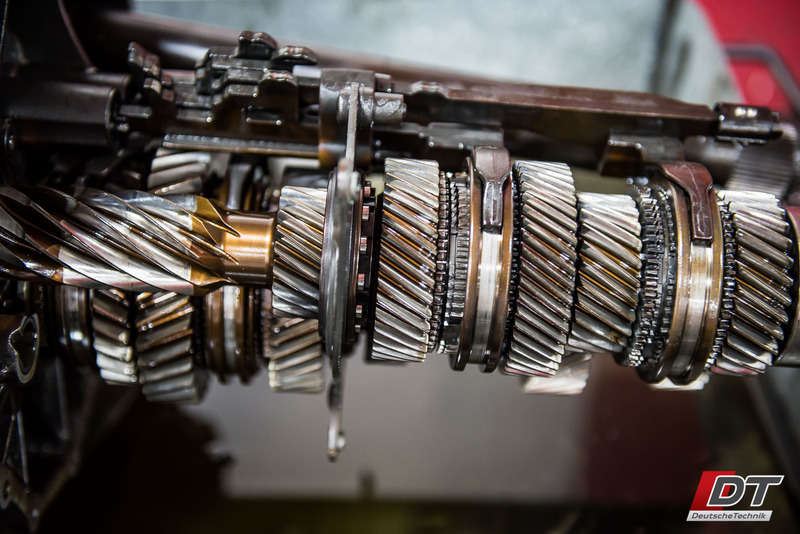 Today’s gearboxes are a complicated piece of equipment that combine intricate mechanical components, electronics, computer modules, and complex hydraulic oil systems. In today’s VW and Audis, many gearboxes are high-performance dual-clutch gearboxes. Today’s Mercedes-Benz vehicles use a more conventional planetary system but it is still a multi-clutch gearbox. Porsche’s PDK gearboxes are also dual clutch gearboxes to offer lightning fast shifts. Lamborghini’s Huracan utilize a dual-clutch gearbox called “Doppia Frizione” whereas the Aventador uses a single clutch unit called ISR. Bentley vehicles use several different ZF transmissions all of the planetary variety. These gearboxes often have issues related to their electro-hydraulic setups, specifically the pumps, solenoid valves, and electrics such as control modules, mechatronics, and sensors. The clutch packs also fail, followed by rare but possible mechanical failures inside the gearbox. Luckily, Deutsche Technik is very well equipped to handle all such occasions. With our sterile engine and gearbox assembling and electrics room and trained staff, we can take these gearboxes apart, test individual components, repair, and put them back together with ease. If the agency tells you that you need a new gearbox, or an entire mechatronics unit, it’s best to first come down to DT for a second opinion where we offer cost effective repair solutions with a warranty. We offer a full range of garage services to vehicle owners in Dubai. We can help you with everything from an oil change to an engine change. We can handle any problem on both foreign and domestic vehicles.